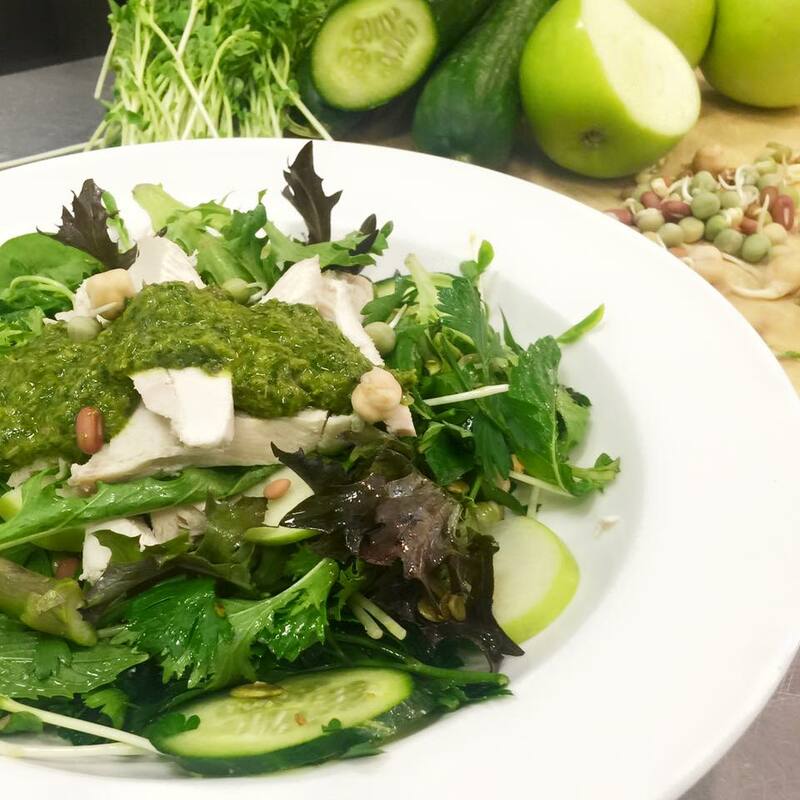 Poached chicken with apple, pistachio + lemon parsley mint salsa verde. Â Poached chicken with apple, pistachio + lemon parsley mint salsa verde. Over the coming weeks our kitchen will be running several new dishes. Your favourites will end up on our new menu. Today’s is a winner. Perfect for this hot weather. 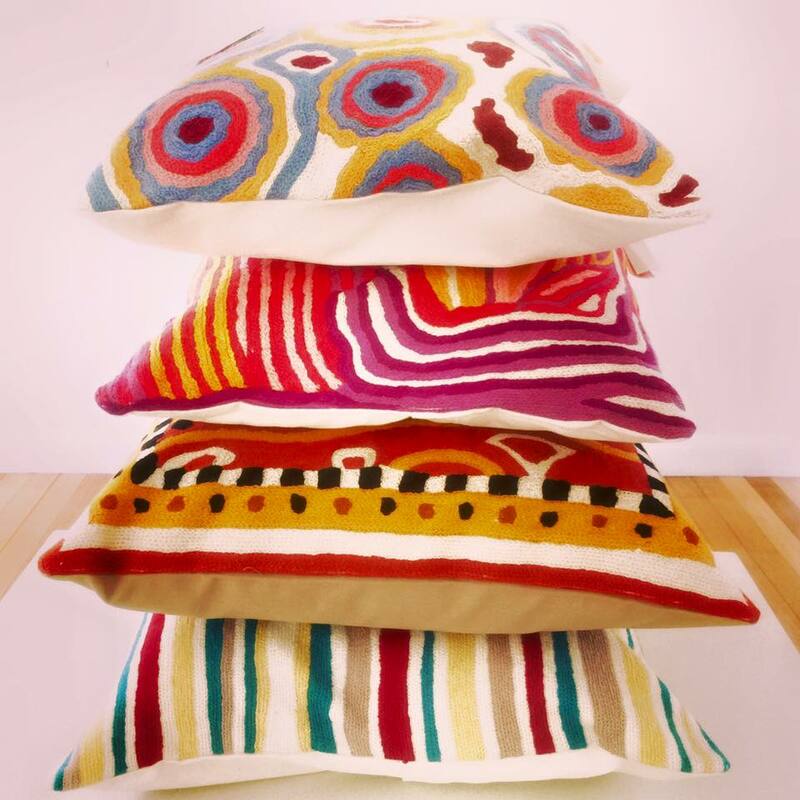 Beautiful chain-stitch cushions from the Team at BETTER WORLD ARTS.